O God, Who, by the Immaculate conception of the Virgin, didst prepare a worthy dwelling-place for Thy Son: we beseech Thee, that as by the foreseen death of the same Thy Son, Thou didst preserve her from all stain, so Thou wouldst grant unto us also, through her intercession, to come unto Thee with clean hearts, Though the same Jesus Christ, Thy Son, our Lord, Who lives and reigns with Thee in the unity of the Holy Ghost, God, forever and ever. The Family Craft Day will follow the 8 A.M. Mass on December 8th and the Girls’ youth group will meet at 3 PM. The parish will go Christmas caroling after the 7 PM Mass on Friday, December 7th. We welcome Fr. 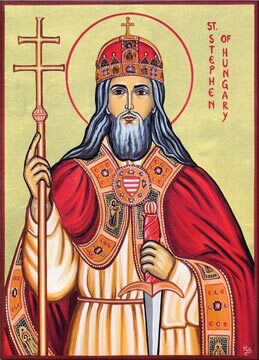 Andrzej Komorowski, the Superior General of the Priestly Fraternity of St. Peter, today. 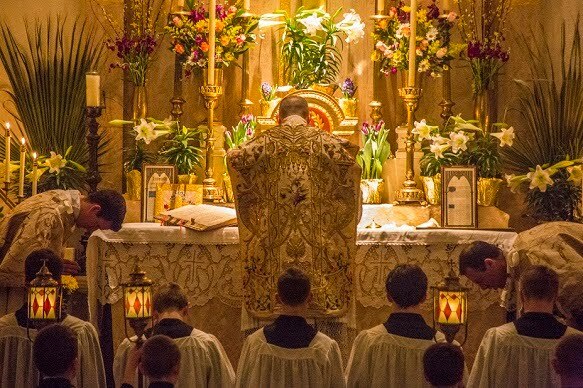 Father will give a talk on the FSSP in lieu of the catechism after the 10:15 A.M. Mass. This Friday is the First Friday of December. There will be Exposition/Benediction of the Most Blessed Sacrament at 6 PM followed by the Holy Sacrifice of the Mass at 7 PM. There will be no 8 AM Mass this Friday. 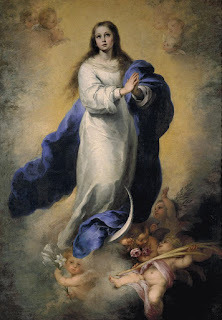 This Saturday, December 8th, the Feast of the Immaculate Conception of the BVM, is a Holy Day of Obligation. Masses will be offered at 8 A.M. and 12:10 PM.